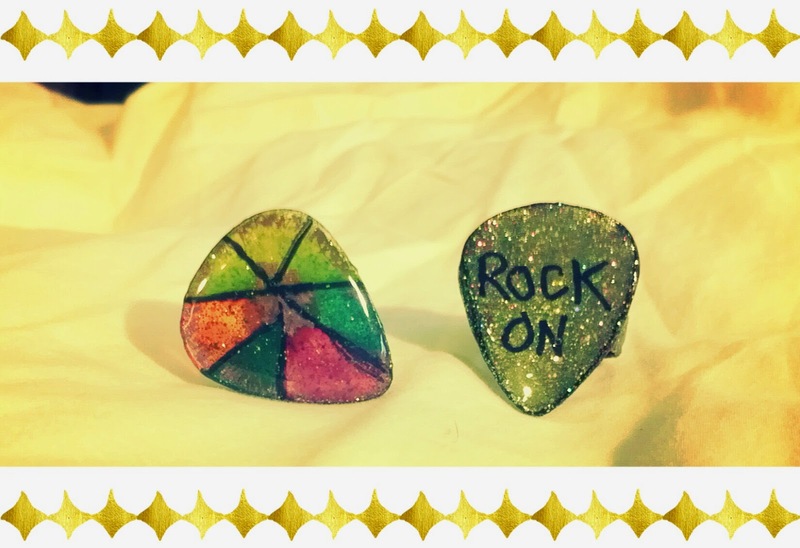 Rock Resurrection Art : NEW pieces I just finished! NEW pieces I just finished! 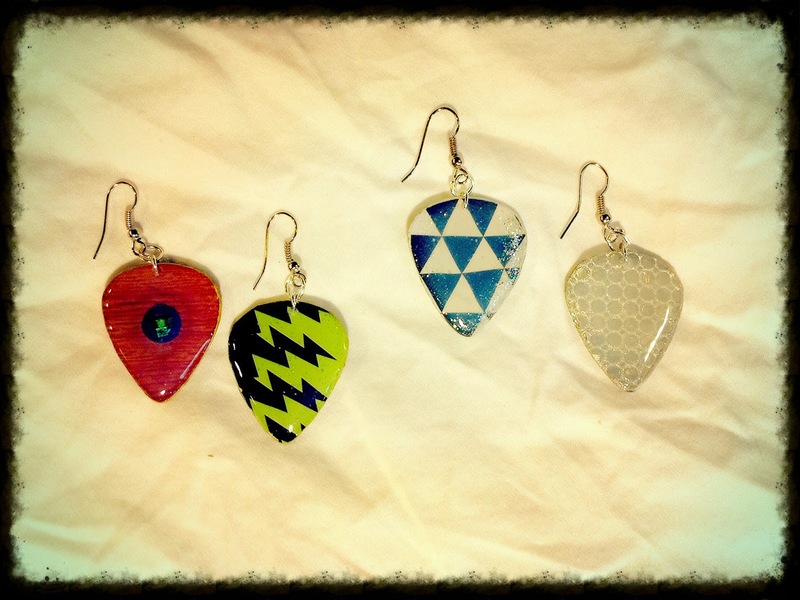 Scrapbook designs guitar pick earrings! 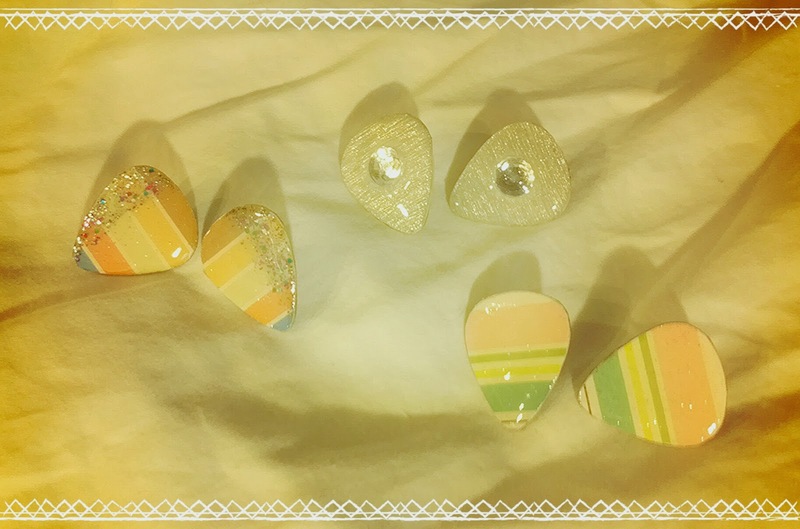 I painted a clear guitar pick with a stained glass pattern, and the other ring is a super glam silver that says "ROCK ON"